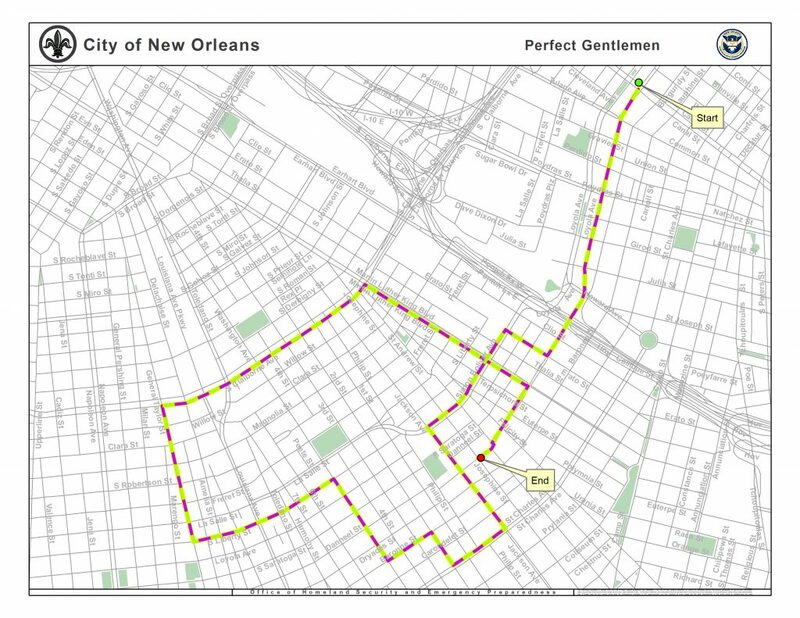 The 2019 Perfect Gentlemen second-line will take place Sunday, Jan. 6, through the Central Business District, the Warehouse District and the Central City, Garden District, Milan and Broadmoor neighborhoods. Traffic will be restricted along the route below. 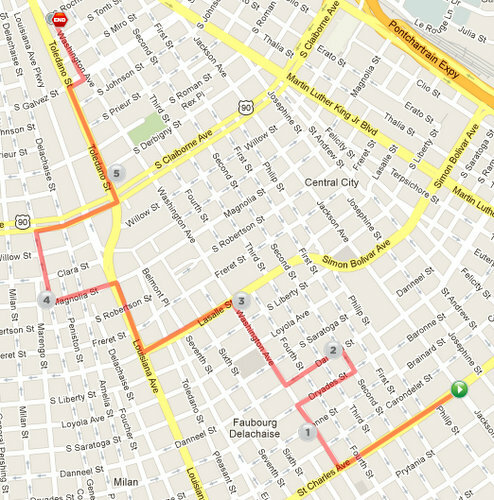 Expect road closures and traffic delays during the event. 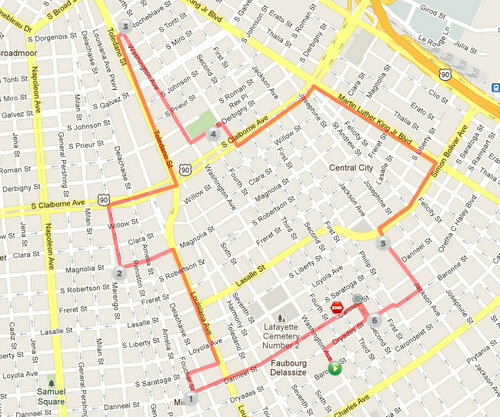 RTA services might be interrupted during this event as well. 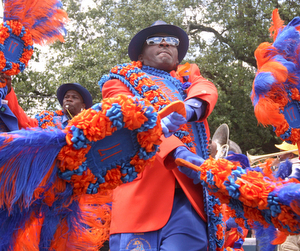 The 2018 Lady and Men Rollers second-line will parade Sunday from 1 to 5 p.m. in the Central City, Hoffman Triangle, Broadmoor, Garden District and Milan neighborhoods. 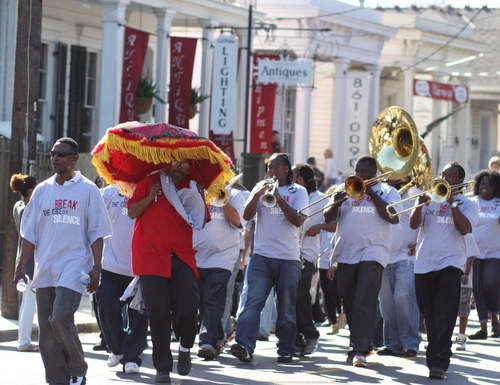 The social aid and pleasure clubs are marching with the Grammy-winning Hot 8 Brass Band. 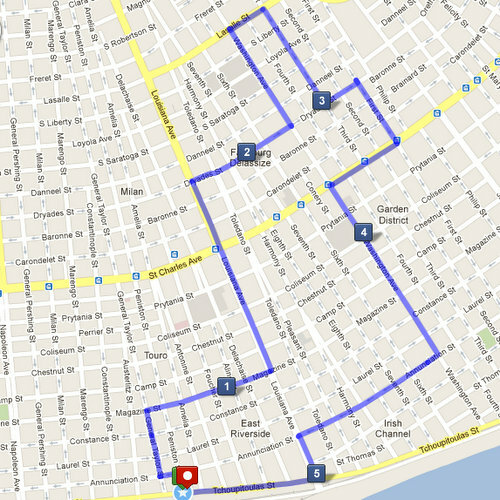 Traffic will be restricted along the route below, so expect road closures and traffic delays in the afternoon. 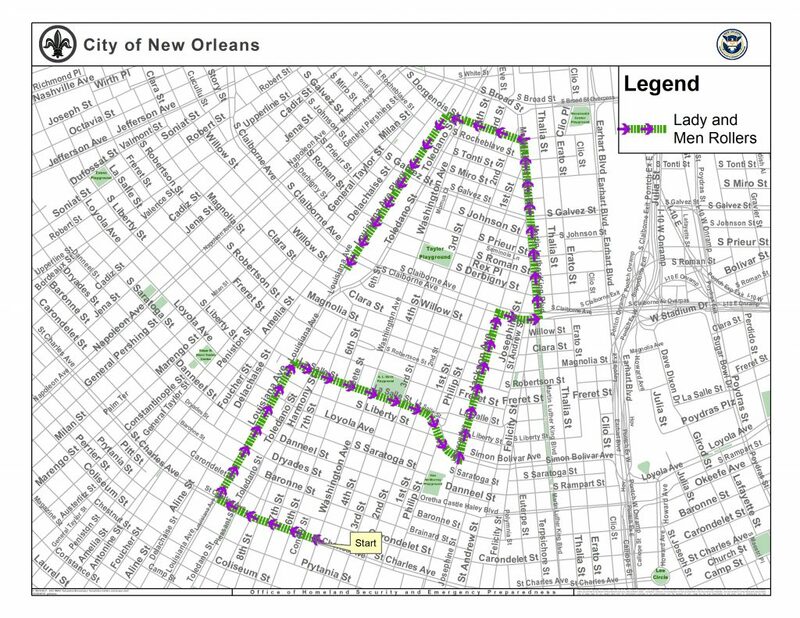 RTA services might be interrupted during the parade as well. The Men and Ladies of Class will start their 2012 second line Sunday at 1 p.m. at The Yacht Club, 540 South Broad Street, make a long loop through Central City, and end up back where it started four hours later, according to Big Red Cotton’s post at Gambit. 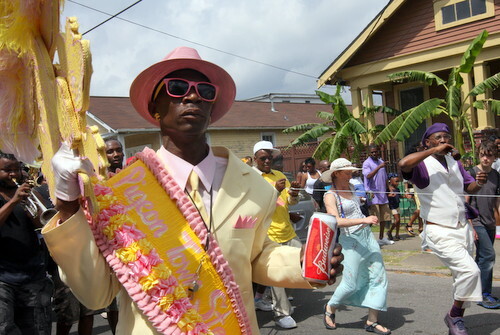 Starting at 1 p.m. Sunday, the Prince of Wales and Lady Wales social aid and pleasure clubs will make their annual second line up Magazine, through Central City and into the Garden District, with stops at a snowball stand and Commander’s Palace, according to a post by Big Red Cotton at Gambit. 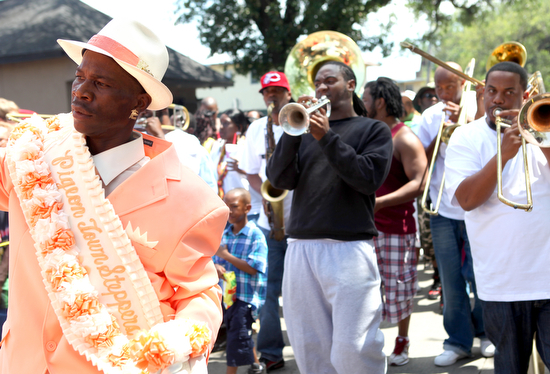 The VIP Ladies and Kids Social Aid & Pleasure Club Task Force will hold their ninth annual second line Sunday, starting at noon at Tapp’s II Lounge at Washington and South Rocheblave in the Hoffman Triangle area, then heading down to the Milan neighborhood, onto St. Charles Avenue for a few blocks, and back up through Central City to end where it started. 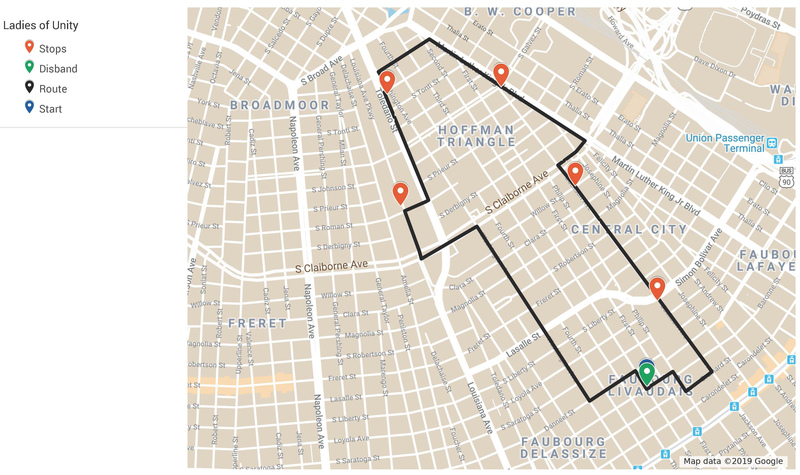 For a route map, see Offbeat, and for turn-by-turn instructions and a video from 2010, see Gambit. 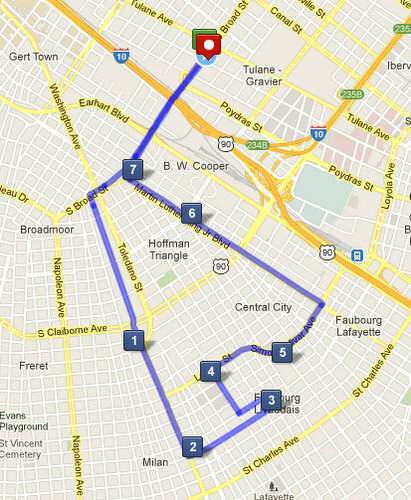 The route starts at the Turning Point bar on Washington Avenue, heads into Milan, up Toledano, and back down Claiborne and Martin Luther King Boulevard to finish a few blocks away from the starting point. 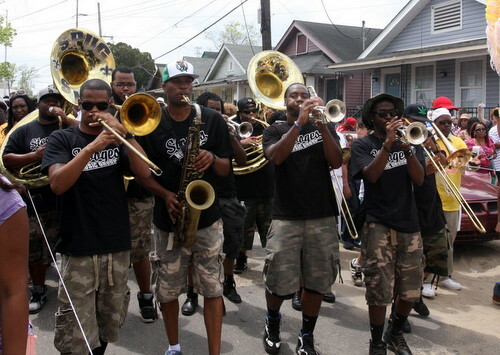 The Ladies and Men of Unity second line will roll through Central City and Milan starting at noon Sunday at the Turning Point Lounge on Washington Avenue, according to Gambit’s Red Cotton, who also provides turn-by-turn directions and a video from 2010.